The Camuto Group provides design, production, sourcing marketing and corporate services to partnering brands, producing over 20 million pairs of shoes annually, reaching over 5400 department and independent retailers throughout the world. The Camuto Group continues to grow their portfolio of footwear and lifestyle brands at all levels of distribution. Partnerships include roles as licensor, licensee and retail supplier, and can be structured according to individual requirements. Licensing The Camuto Group's proven track record of acquiring and licensing brands to reach their full potential has facilitated a diverse and individually tailored licensing program with global reach. Offices are located in New York and Los Angeles. Vince Camuto has assembled industry-leading designers, working personally with each design team to create looks that are at the very forefront of fashion trends. 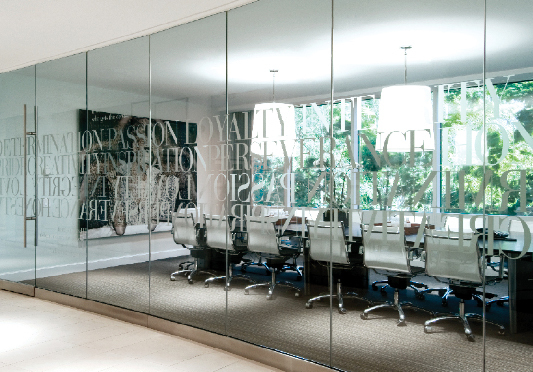 Each team utilizes dedicated and customized design environments for all aspects of the creative process. The Camuto Group offers partners competitive production and sourcing services executed in Italy, Brazil and China that include hand-made artisan production as well as full line manufacturing. The Camuto Group's global infrastructure enables the manufacture of each style in the most advantageous country and factory. These organizations allow Camuto to meet client's needs from a quality, price and customer service standpoint. The Camuto Group's technicians are some of the best in the world, specializing in the latest construction development, leather tanning, pattern-making and, stitching. The Camuto Group's Logistics team provides all administrative coordination and distribution functions domestically and internationally allowing seamless supply chain (factory to customer) functionality. These operations currently service our global partners. Dedicated sales teams support each brand effort domestically and internationally. Retail Partners include key United States department and specialty stores as well as leading international points of distribution. The marketing department operates as a full-service agency driving creative initiatives from concept to execution. This includes advertising and photo shoot production, graphic design, art direction, web production and event planning. Branding incorporates the Camuto Group's strong point of view and incorporates consistent brand messages over the long- and short-term. Dedicated Branding Teams oversee all aspects of public outreach. Marketing support also includes all creative layouts, collateral, trend information, campaign imaging and public relations. Legal and financial support is offered in conjunction with The Camuto Group partnerships.